Finally, a grown-up solution to blemishes. 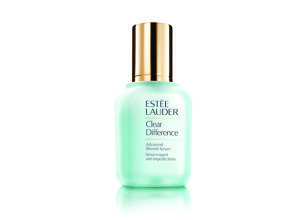 This fast-acting serum reveals clearer, smoother, fresher skin. Targets, treats and dramatically reduces the look of blemishes. Helps prevent new ones from forming and stop the breakout cycle. 86% of women said their skin looked clearer and healthier in just 1 week. * Even up close, the difference is clear. First things first – I absolutely love the texture and consistency of this serum. It’s light and thin and spreads with easy, and absorbs with even more ease. The scent is great too, it’s airy and fresh and not overpowering at all. My concern is that it didn’t make a noticeable difference to my skin, or help prevent further blemishes from forming. This is probably because I did not use the rest of the Clear Difference range in conjunction with the serum though. Had I done that, I think I would have seen results. I would definitely give it another try in my existing skincare routine once my current serum runs out.